With the holiday season upon us, it’s time to start planning for friends and family coming from out of town. 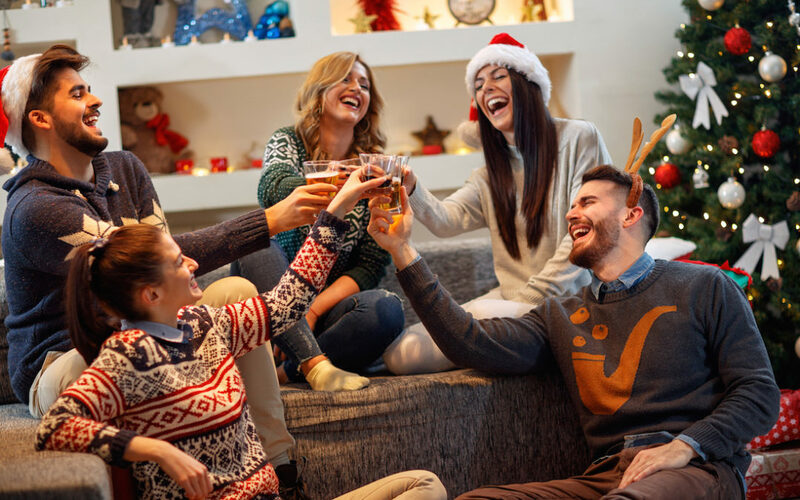 To make sure everyone is cozy and comfortable, you’ll want to follow some holiday entertaining tips that’ll make everyone happy. The furniture that you purchase should be tops on your list, and you can find the help of a company that’ll help you out. When you’re looking to capitalize on your holiday hosting, read below for tips on preparing your home for entertaining during the holidays. When you’re planning on bringing the family in for holiday entertaining, the dining room table is a critical fixture. You’ll need to find a dining room table that is first and foremost large enough to accommodate everyone for Thanksgiving and Christmas dinner. Look through a furniture store’s inventory to find a beautiful dining room table that is both sturdy and stylish. It pays to visit a furniture showroom in person so that you can see what selections are available. Be sure to focus on style and design and include options like rectangular tables, contemporary colors, and a luxury dining room table. Once you have your dining room table in place, be certain that you also purchase covers and dressings to decorate it. When it comes to holiday entertaining, sleep space is everything. Having carloads of family members arrive for the holidays requires you to get creative. For instance, you might need to grab some sleeping bags or blankets to set up pallets. Buying an air mattress will also be worth your while so that people can sleep comfortably in different areas of the home. Purchasing a pullout couch is also a great consideration – as it doubles as a place to sit and relax while watching Christmas movies while turning into a bed once it’s time to go to sleep. Think about your square footage and arrange the sleeping arrangements in a way that is conducive to your holiday entertaining goals. Buying a new mattress lets you give your family members a beautiful nights sleep — particularly if you have relatives that are elderly or that have back problems. Some examples of mattresses that you can purchase include memory foam, latex, gel, and hybrid. Your family members will be appreciative that you took the time to accommodate them. No matter what sort of furniture needs you have, Rainbow Furniture has you covered. We understand that the holiday season can be hectic — especially when you have family coming and need to entertain. Let us take away some of that burden by providing you with great options for furniture pieces. When you shop with us, you’ll have access to a number of selections for your living room, bedroom, dining room, and any other area of your home. We’d be happy to show you our selections to help find the right fit for you.